SOA describes a set of patterns for creating loosely coupled, standards-based business-aligned services that, because of the separation of concerns between description, implementation, and binding, provide a new level of flexibility. Service Oriented Architecture terminology has spread in recent years, at least among people who were involved in most of the Information Technology activities. The guidelines suggested by this methodology are granted as major factors to succeed in different distributable systems domains. Just as the definition is clear and easy to understand, so is its implementation into a real project, being intuitive, concise and elegant. I have released an application demonstrating how SOA’s principles can be applied into a small project making use of EIP (Enterprise Integration Pattern), IoC (Inversion of Control), and a building tool and scripting language such as Groovy. I analized a simple business case: an entertainment provider who wanted to dispatch rewards and bonuses to some of its customers, depending on customer service’s subscriptions. 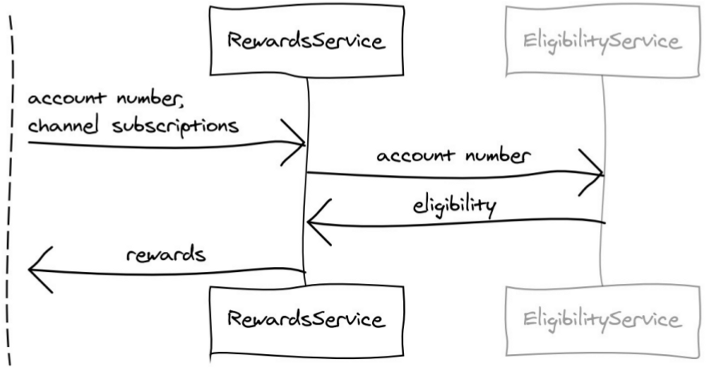 It is required to provide an implementation of a RewardsService. The service accepts as input a customer account number and a portfolio containing channels subscriptions. The Customer Status team is currently developing the EligibilityService which accepts the account number as an input. I set up an infrastructure to write acceptance tests for this first meaningful feature. This is what could be defined as a “walking skeleton,” a prototype with the essential aspect that it could be built, deployed and tested after being easily downloaded from Github. RewardService is invoked by the client and it calls, in turn, the eligibility service which however, in this case is not implemented. As many real scenarios expect external services, this proof-of-concept refers the eligibility service to a black-box, where only request/response interface is known. Published at DZone with permission of Giancarlo Frison , DZone MVB. See the original article here.